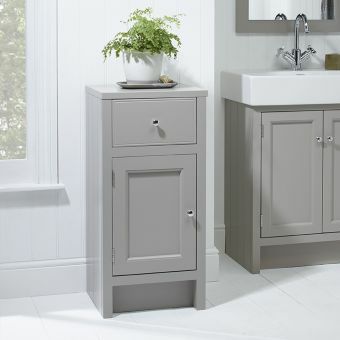 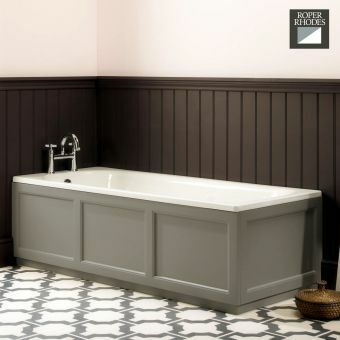 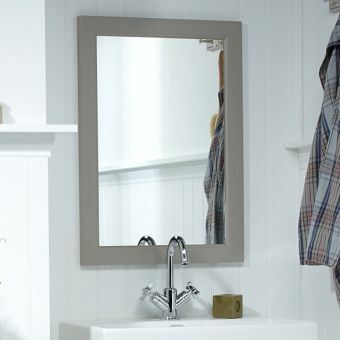 This classic combination of two fine pieces of bathroom furniture from the Roper Rhodes Hampton range will immediately add a fresh, contemporary look to any bathroom. 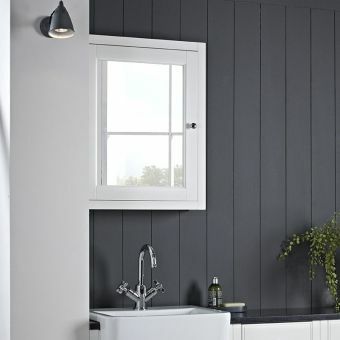 It now has added appeal with five country living style colours: Mocha, Vanilla, Chalk White, Pewter and Slate Grey. 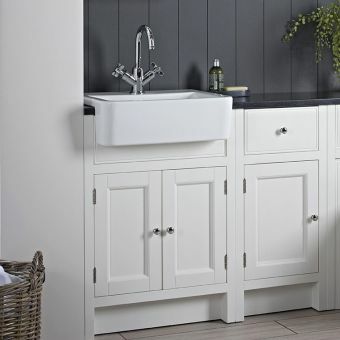 Natural Oak has been discontinued. 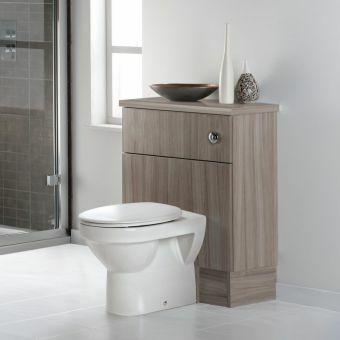 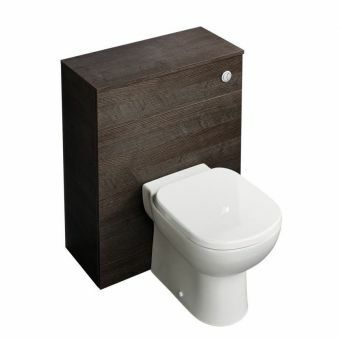 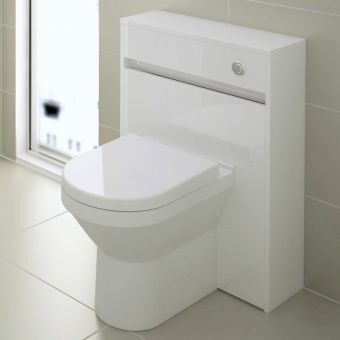 This popular unit is available with a choice of the two most popular Roper Rhodes toilets to suit all tastes from Ropers' most popular ranges: Minerva, and Geo, all complete with matching luxurious soft closing seats and covers. 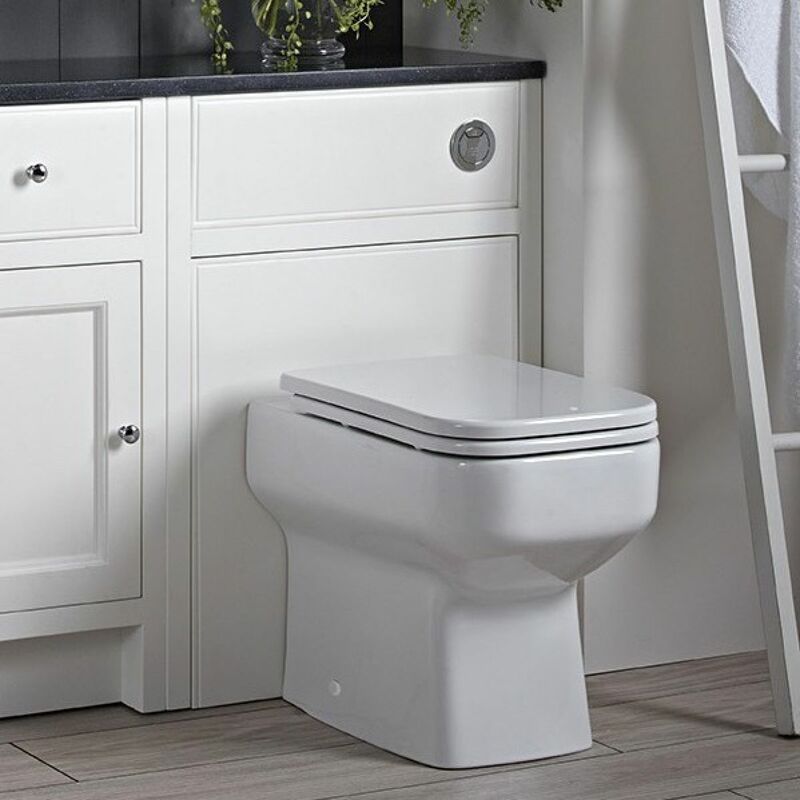 The back-to-wall unit makes a bold centre piece statement, adding a pleasing aesthetic not normally associated with WC units. 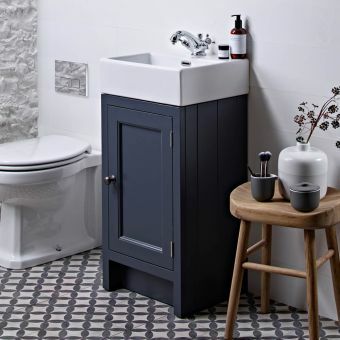 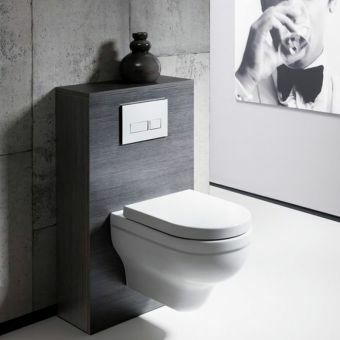 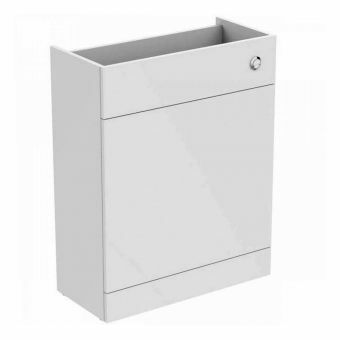 Cleverly concealing plumbing work, cistern and pipework, it also provides an attractive shelving space to keep toiletries and other bathroom products to hand, or simply for ornamentation. 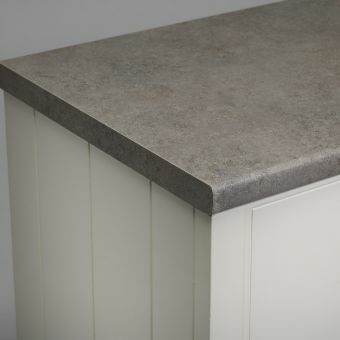 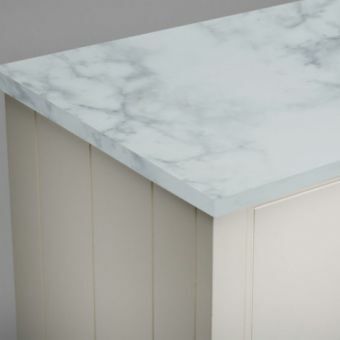 You can add a Strata solid surface worktop (25mm thick. 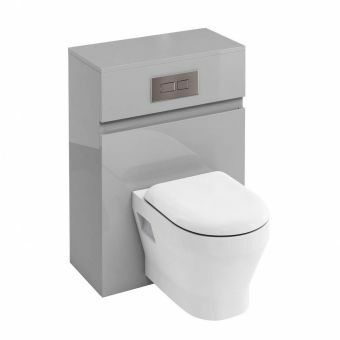 680(l) x 365mm(w) in four colourways to complete the unit and also add a dual flush chrome flushing button with cistern so you can be assured everything will match and work together.